Fairway Apartments has a Walk Score of 13 out of 100. This location is a Car-Dependent neighborhood so almost all errands require a car. Close to Horizon Middle School, the Meadows Golf Course and Highway 10 Shopping, the Fairways have easy access to Interstate 94, MSUM and Concordia, which makes it a convenient location for almost everyone! 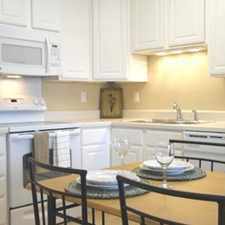 These well maintained apartments offer 1 bedroom/1 bathroom, 2 bedroom/2 bathroom, and 3 bedroom/2 bathroom floor plans. They feature free heat and water, double garage with openers, dishwasher, garbage disposal, microwave, window coverings, and washer and dryer included in every apartment. All apartments have either walk-out patio or balcony and 3rd floor units have vaulted ceiling in the living rooms. Explore how far you can travel by car, bus, bike and foot from Fairway Apartments. Fairway Apartments is in the city of Moorhead, MN. Moorhead has an average Walk Score of 32 and has 38,065 residents.